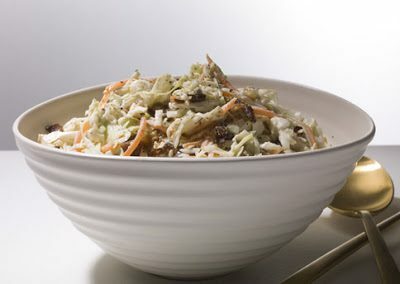 1 package of cole slaw mix (14oz) 1 package of broccoli cole slaw mix Toss them together. 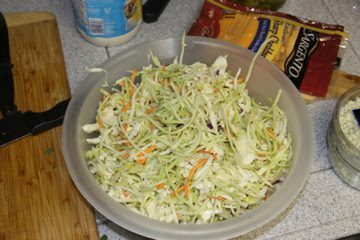 Cook a 4oz. 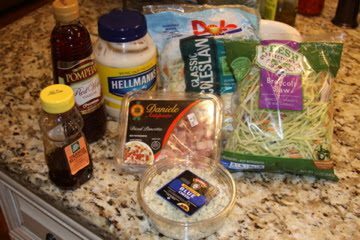 package of thin sliced Pancetta…dice it up and toss into the cole slaw mix. Crumble 4 oz. 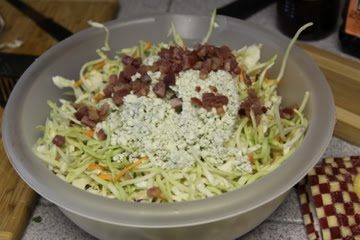 blue cheese Dressing: 6 oz. 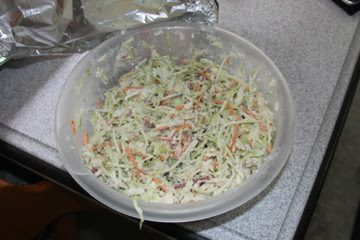 Hellman’s mayonnaise 1 TBSP honey 2 TBSP red wine vinegar. Toss all together.